The job you do is simply amazing, it's obvious that you are very smart and resourceful. For now i'm trying to restore a Hofner Model 173 year 1963 but i have a problem with the tremolo/vibrato system. First, the tremolo dosent have a front cover and second, the tremolo cavity is empty, there's only the tailpiece and the tremolo arm, no sping or any other thing. I still dont understand well how the tremolo works on this guitar so if you could help me that would be very appreciated. I can upload pictures if needed. Thank you very much ! Greetings from Tunisia ! Thanks for the lovely compliment. If you can upload some pictures that would be very helpful. The tremolo is not very complicated and should work fine without the front cover (although you can pick the covers up on ebay from time to time). 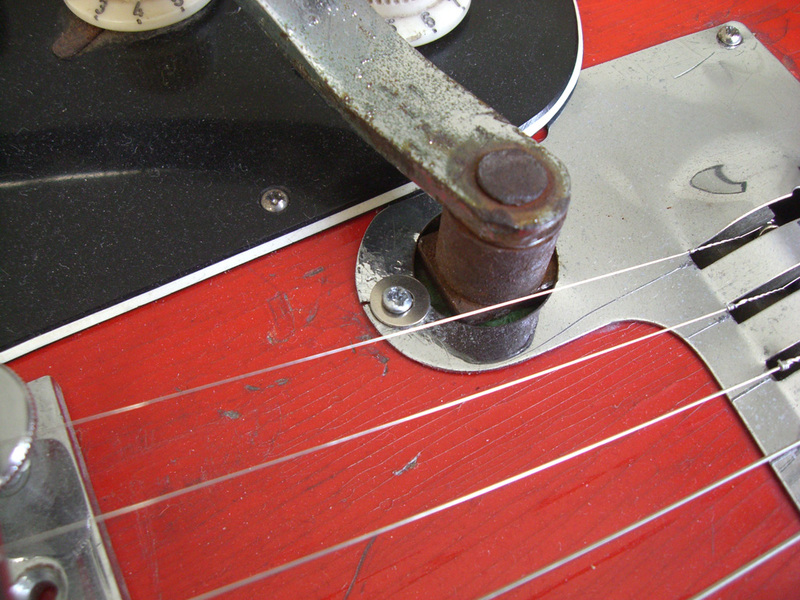 I've heard you can use springs from Bigsby vibratos in place of the original Hofner ones, though I have never tried this myself. I mention it because it is easy to get replacement Bigsby springs. Anyway, I can tell you more once I see your pictures. You're more than welcome. I'd love to know how you get on with your restoration. My email's stueycoolTAKE-THIS-PART-OUT@gmail.com if you're willing to share, or have any questions.